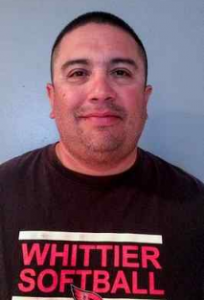 Hello all, this is the last post on the Whittier Daily News prep blog, I will post rankings, final scores, video, opinions and more on my Fred Robledo on Prep Sports Blog, which will serve readers for the Pasadena Star-News, Whittier Daily News and San Gabriel Valley Tribune moving forward. Think of it as one big readership area that covers the entire San Gabriel Valley and Whittier. There are times where the La Habra High softball team had the look of an all-star squad. The Highlanders, with four players signed to NCAA Division I scholarships, were that good this season. But the shining star was senior Alyssa Palacios, who led the team in hitting to key a run to the Highlanders ninth consecutive Freeway League title. For her efforts, Palacios is the 2017 Whittier Daily News Softball Player of the Year. “I’m shocked (to be player of the year),” said Palacios, who will play for the University of Utah next season. “It’s really an honor. I feel excited. Palacios has been one of the most-productive players on arguably the area’s top team the past two seasons. 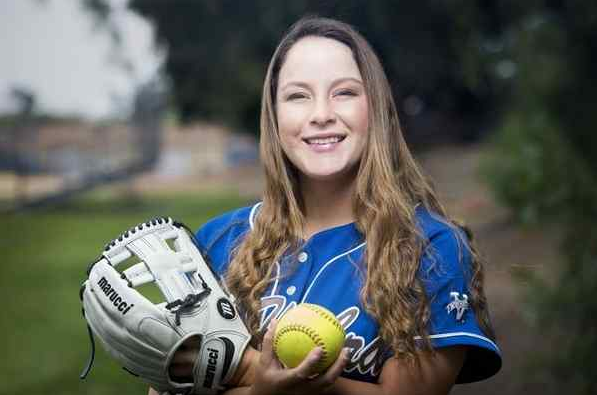 She hit .393 as a junior in helping the Highlanders reach the CIF Southern Section Division 2 semifinals and followed it by hitting above .400 this season to lead La Habra to a 21-8 record and another Freeway League crown. They also scored wins over Division 1 quarterfinalist Orange Lutheran and Mission Viejo and national No. 1 Los Alamitos. La Habra advanced two rounds in the Division 1 playoffs. “I think we had a pretty good year,” said Palacios, who hit above .500 in 10 Freeway League games. “We went out to Laughlin (Nevada) and came in second. That showed us how good we could be and how good we are. It pushed us. Palacios will be living a dream by then, playing in the Pac-12 Conference with Utah. “I’m really excited,” she said. “I’ve watched them on TV and I can’t wait for my family to watch me on TV. Palacios is joined on the all-area team by four of her teammates, three of which will also play Division I softball. Hannah Johnson, who has been one of the top pitchers in the area the past two seasons, and pitcher-infielder Janelle Rodriguez are going to Big West champion Cal State Fullerton, with outfielder Kira Cauley, arguably one of the fastest runners in the area, going to Big West rival Cal State Northridge. Cauley shined in the all-star season, playing in three games and winning the North MVP in the OC North-South All-Star Game. The fourth Highlander is junior Savannah Tourville, who is back next season. All five were All-Freeway League, with Palacios league MVP. Other on the all-area first team include Whittier’s Alyssa Olague, who helped the Cardinals make the playoffs for the first time since 2009; La Mirada’s Madison Bogdanovich, who was Suburban League MVP; Schurr’s Sienna Perez, who was Red Team MVP at the Whittier Rotary All-Star Classic two weeks ago; La Serna’s Astrid Arevalo, who was Del Rio League MVP, and Whittier Christian’s Heather Gallegos, who batted over .500 for the second consecutive season. The duo helped the Cardinals finish a solid second in the Del Rio League and advance to the playoffs for the first time since 2009. Whittier, which swept rival California for the first time and pushed La Serna before losing two one-run games, also upset Mira Costa in the first round of the Division 4 playoffs before losing in the bottom of seventh inning to Beaumont in the second round. For their efforts, Liddell and Patino are area co-coaches of the year. Pitcher: Hannah Johnson, La Habra, Sr.
Pitcher: Alyssa Olague, Whittier, Sr.
Pitcher: Ally Udell, Whittier Christian, Sr.
Catcher: Jaclyn Macias, Cal, Sr.
Infielder: Heather Gallegos, Whittier Chr., So. 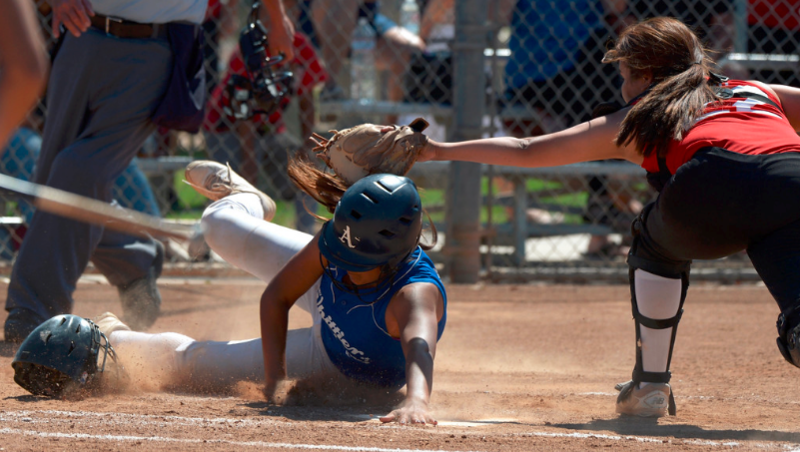 Infielder: Savannah Tourville, La Habra, Jr.
Infielder: Tatum Anzaldo, St. Paul, So. Infielder: Madison Bogdanovich, La Mirada, Jr.
Infielder: Aniz Roman, Schurr, Fr. Outfielder: Victoria Alvarez, Montebello, Sr.
Outfielder: Astrid Arevalo, La Serna, Fr. Outfielder: Kayla Gutierrez, La Mirada, So. Outfielder: Nia Carter, St. Paul, So. Outfielder: Kira Cauley, La Habra, Sr.
Utility: Janelle Rodriguez, La Habra, Sr.
Pitcher: Sienna Perez, Schurr, Sr.
Pitcher: Naomi Dickerson, La Serna, Sr.
Pitcher: Alexis Bermudez, St. Paul, Sr.
Catcher: Camille Marin, St. Paul, Fr. Infielder: Marissa Montesdeoca, California, Sr.
Infielder: Jasmine Gray, La Serna, So. 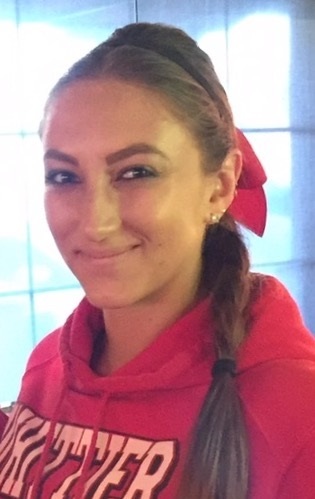 Infielder: Gabriella Dauber, Whittier Chr., Fr. Infielder: Allene Darby, Montebello, Jr.
Infielder: Alexis Riviera, El Rancho, Sr.
Outfielder: Cierra Amarillas Salazar, Cantwell-Sacred Heart, Sr.
Outfielder: Gianna Alvidrez, La Serna, So. Outfielder: Victoria Medina, Whittier, Sr.
Utility: Amanda Cabral, California, So. Utility: Stephanie Jimenez, Santa Fe, Jr.
La Mirada has fielded arguably the top baseball program in the area for the past two decades, and the Matadores added to that tradition by winning the Suburban League the last two seasons. Kevin Kendall, considered one of the top shortstops in Southern California and who will play at UCLA, played a big part in that success, including this season when La Mirada posted wins against some of the top programs in the CIF Southern Section. For his efforts, Kendall is the 2017 Whittier Daily News Baseball Player of the Year. 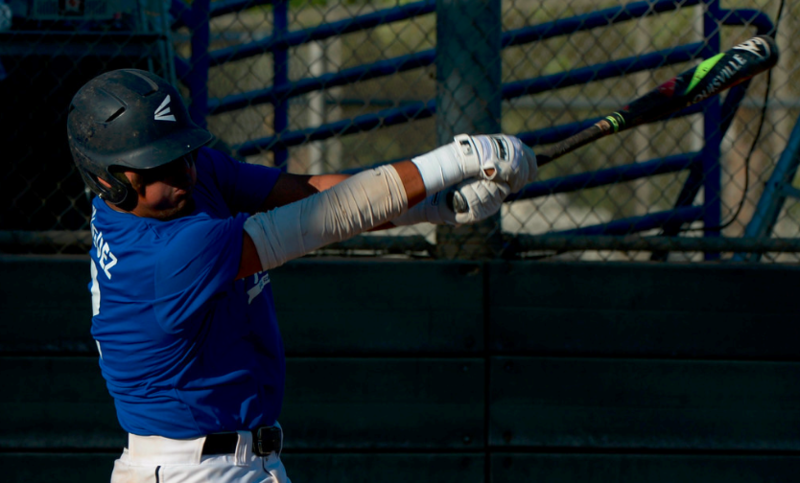 Kendall contributed to the Matadores’ effort at the plate and in the field. At shortstop, he solidified La Mirada’s defense up the middle, committing just six errors in 91 chances, with 33 put outs and 52 assists. Offensively, he was one of the top hitters in the area, batting .416 with 12 RBIs and 11 extra-base hits. He also scored 20 runs and stole 18 bases without being caught. 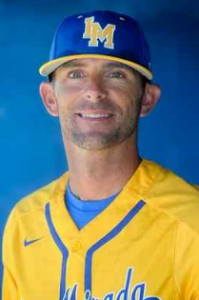 “There’s the old saying where you have to be good up the middle, and we’ve been very, very luck to have him as our shortstop the last two years,” La Mirada coach Jim Zurn said. “No. 1, his baseball talent is through the roof. He’s going to UCLA for a reason. With Kendall handling the middle of La Mirada’s defense, the Matadores won 47 of 61 games the past two seasons, including going 24-6 this past spring, and won the last two Suburban League crowns. La Mirada also went a respectable 2-2 in the Boras Classic, posting wins over Del Rey League champion Bishop Amat (4-1) and Los Angeles City Section finalist Chatsworth (6-4). La Mirada advanced two rounds in the CIF-SS Division 2 playoffs, ending its season at Palm Desert. 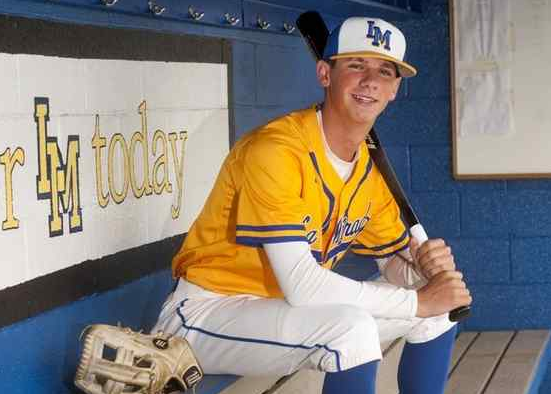 Kendall also grew with La Mirada’s success from league runner-up to back-to-back champion. “Coming in my sophomore year, I was kind of small,” Kendall said. “Our coaching staff and the rest of the players, we all pushed each other. By the time this year came around, we were all strong. Now Kendall will take his talents to UCLA. He’ll join a Bruins program, which is one of the best on the West Coast. UCLA won the College World Series in 2013 and advanced to the NCAA Division I Super Regionals in 2015 and the regional round this season. Kendall is part of a solid all-area team that also includes teammates RJ Lan and Eddie Salcido; brothers Zach and Jared Thomas, of Cantwell-Sacred Heart of Mary; Santa Fe’s Isaiah Gonzales and California freshman Jacob Sharp. Lan, who has signed with College World Series entrant TCU, was Suburban League MVP. The Thomases helped Cantwell win its second consecutive Camino Real title, while Gonzales and Sharp were Del Rio League MVP and offensive player of the year, respectively. Zurn, in his third full season with the Matadores, guided La Mirada from the waters of controversy near the end of the 2014 season to getting back to its usual spot atop the Suburban League, which it’s won the past two seasons. For his efforts, Zurn, a La Mirada alum, is 2017 Whittier Daily News Baseball Coach of the Year. “The standard has been set around here for a long time,” said Zurn, who has gone 47-14 the past two seasons. “I was a player in this program. I got to coach under Coach (Kim) Brooks for 11 years and then taking over. La Mirada went 24-6, including 11-1 in the Suburban League. The Matadores also went 2-2 at the Boras Classic, scoring wins over Del Rey League champion Bishop Amat and City Section finalist Chatsworth. La Mirada advanced to the second round of the Division 2 playoffs, losing to eventual finalist Palm Desert. That followed a march to the quarterfinals in 2016. Pitcher: Eddie Salcido, La Mirada, Sr.
Pitcher: Abraham Carrillo, La Serna, Sr.
Catcher: Jared Thomas, Cantwell, So. Infielder: Isaiah Gonzales, Santa Fe, Sr.
Infielder: Eli Vasquez, Cantwell, Sr.
Infielder: Will Bermudez, St. Paul, Fr. Infielder: Zach Thomas, Cantwell, Jr.
Infielder: Gilly Rodriguez, California, Sr.
Infielder: Dylan Villalobos, Sonora, Sr.
Outfielder: RJ Lan, La Mirada, Sr.
Outfielder: Chad Wilson, La Mirada, Sr.
Outfielder: Jared Jones, La Mirada, Fr. Utility: Jacob Sharp, Cal, Fr. Pitcher: David Olson, La Mirada, Sr.
Pitcher: Alfredo Ruiz, Santa Fe, Jr.
Pitcher: Mike Gutierrez, California, So. Pitcher: Emilio Morales, La Mirada, Fr. Catcher: Sal Diaz, La Mirada, Sr.
Infielder: Jacob Mora, La Serna, Sr.
Infielder: Javy Espinoza, Cantwell-Sacred Heart, Sr.
Infielder: Jose Macias, Montebello, Jr.
Infielder: Isaac Ramirez, Sonora, So. Infielder: Alonso Guzman, Santa Fe, Sr.
Outfielder: Carlos Vargas, Schurr, Fr. Outfielder: Josh Hernandez, Whittier Chr., Sr.
Outfielder: Nehemiah Rodriguez, St. Paul, Sr.
Outfielder: Jordan Martinez, Whittier, Sr.
Utility: Kevin Smith, La Mirada, Sr.
CARLSBAD >> The best season in the history of the La Serna High School boys volleyball team will not include a CIF State Southern California Regional championship. But the Lancers died hard Thursday, nearly rallying from two sets down to push No. 2 Sage Creek to five sets before succumbing 25-18, 25-13, 16-25, 24-26, 15-12 in a Division 3 semifinal at Sage Creek. Christian Janke and Ryan Yates had 21 and 11 kills, respectively for the host Bobcats (30-11), who will face No. 1 Kennedy for the regional title at 1 p.m. on Saturday at Edison High in Huntington Beach. Geoffrey Mike had 10 kills and Matthew Aldama nine for the No. 3 Lancers (30-4), who were in the state playoffs for the first time after winning their first CIF Southern Section title last week. La Serna leaves the San Diego area with disappointment, but no regrets. “I told (the team) they should be very proud,” La Serna coach Monique Gayton said. “Of course, we wanted to be state champs, but undefeated (Del Rio) League champs, CIF champs, state semifinalist … that’s an outstanding year. The Lancers looked dead after losing the first two sets, but found life early in the third set to pull even at 2 sets each. But they were unable to make enough plays to keep up with Sage Creek, which scored three of four points, including two kills by Janke, to lead 11-8 in the fifth set. La Serna got within 14-12 on a mis-hit and long serve before Sage Creek won the next point on a mis-hit to advance. “We tend to get really nervous with a big crowd,” Gayton said. “It was just a lack of focus (early). It was a great match and I love the way we came back. We didn’t travel this far to just go three (sets). La Serna, after dropping the first two sets, got back into the match by scoring five of seven points during the middle of the third set to lead 20-14. The Lancers then closed the set with four consecutive points, winning it on an Aldama kill. They jumped out to a five-point lead early in the fourth set before Sage Creek rallied to tie it at 24. But the Lancers won the final two points — a kill by Nicholas Sanford and a net violation — to force the fifth set. But Sage Creek made the plays to advance.